Having health insurance protection is important for everyone. As an agent with HealthMarkets, I offer residents of Colorado Springs, CO, and the surrounding communities, a choice when it comes to their health insurance. I am a licensed and trained insurance agent with experience working with individuals, families and small businesses. I will work personally with you to identify your unique insurance needs and budget, and then offer you a variety of options that address those needs. 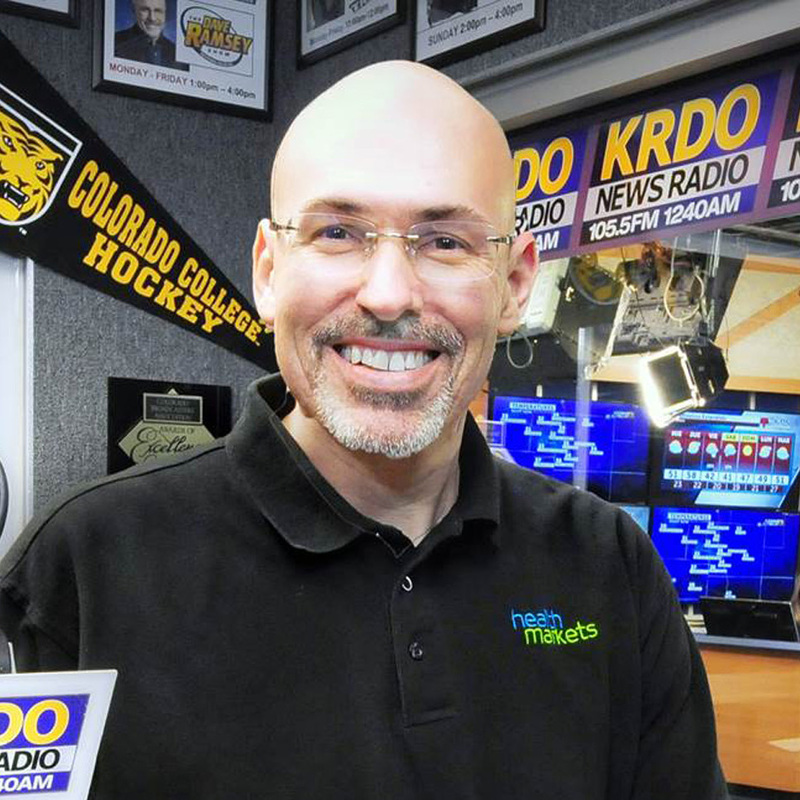 If you are looking for health, life, small group, Medicare or supplemental (voluntary) insurance, please contact me today for a free consultation and no-obligation quotelISTEN TO MY RADIO PROGRAM, THE AGENT WITH ME ANTONIO BRICENO SATURDAY MORNINGS AT 11:30 ON KRDO NEWSRADIO IN COLORADO SPRINGS AT 105.5 FM, 1245 AM, 92.5 FM OR LISTEN LIVE AT KRDO.COM AND ON DEMAND AT WWW.KRDONEWSRADIO.PODBEAN.COM The health and life, insurance world is big and confusing. Everybody needs insurance, but, it's hard to get unless you gotta guy and that guy is Antonio Briceno, The Agent!Antonio's an independent licensed insurance agent. He's contracted with HealthMarkets Insurance Agency. The information he gives you on The Agent is general in nature, it's educational, it's not legal advice but it will help get you covered.Click and Book Your Appointment with The AgentThe Agent with Antonio Briceno airs Saturdays at 11:30 a.m. only on KRDO Newsradio. Listen live at KRDO.com and on-demand at KRDO.com, select the Radio tab and click on Podcasts. I work with nationally recognized insurance companies to give you the quality, affordable insurance you’re looking for. I promise never to spam you or sell your information. Best of all, my assistance is at no cost to you. Call me today at (719) 203-6424 and let me find the right insurance for you. Call us 24/7 at (719) 203-6424 or Find an Agent near you.